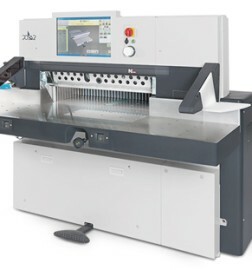 POLAR offers highly efficient solutions for producing die cut and square cut labels. Both manufacturing processes comprise components and systems both for industrial production as well as for smaller and medium print runs. Detailed information about LabelSystems is available on the internet at the POLAR website. It is not until the finishing stage that a print product takes its final form.